In the ring, a good strike to the abdominal area can make the difference between winning or losing a match. In this article I will talk about the stomach punch, the solar plexus punch, and the liver shot, how and when to use them – and how to avoid them. Body shots have a high probability of success. The head is much more mobile than the body, and usually takes priority in defense. Feinting an attack to the head will usually leave an opening for a well-placed stomach punch or a liver shot. This article will deal with the execution, and the, often underestimated, effects of an abdominal punch on your opponent. Keep in mind that causing injury should never be a goal of any martial art. Body shots are an excellent way to set up power shots during competitive matches, but should not be taken lightly during sparring or workout sessions. Delivering a stomach punch is an effective way to knock the wind out of your opponent. If aimed at their sides or their lower abdomen, it gains devastating power. It’s a useful way to shock your opponent temporarily, or have them drop their arms so you can follow through with a knockout punch. Keep in mind that a direct hit to the stomach needs to be powerful in order to work – a common way of delivering a gut punch in boxing is with an uppercut. The solar plexus is centered just above the abs and under the chest. Lots of nerve endings – along with the diaphragm – are located here. A good punch to this region will knock the wind out of any opponent, regardless of size. An excellent way to get your opponent to double down or drop their guard so you can follow through with a hook. If you notice an opportunity, aim for the solar plexus and use the weight of your whole body to drive through. A good thing about this punch is that it will not hurt your hand. On the other hand, this does not mean that you should lose all restraint. Using a full-force solar plexus punch during a sparring session is a great way to have the trainer stop the match and cause unnecessary injury. Devastating, yet one of the most underrated attacks out there. 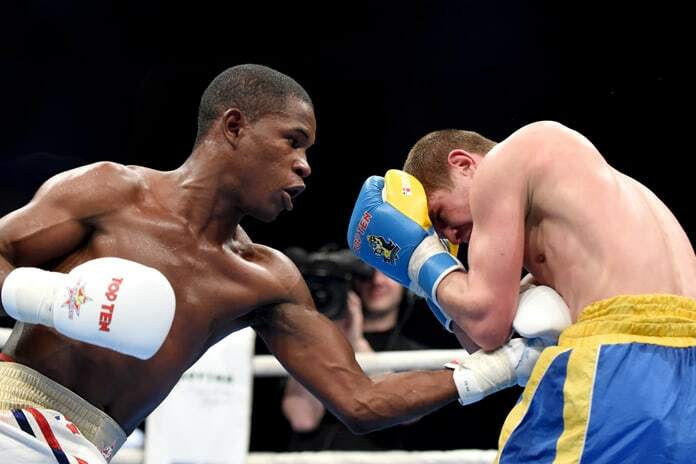 A successful liver shot has ended a huge number of competitive matches. Despite this fact, it’s mostly used by accident. It’s usually set up by feinting an opponent to expose himself by leading with his right. A short but powerful uppercut or left hook is then delivered to the liver. The effects are instant and intense. A hook to the jaw knocks people down, but a liver punch can incapacitate a fighter through pain alone. It will also cause a major loss of breath and focus to the victim. Because of it’s intensity, you should be extremely careful when with a sparring partner. Never try to deliver a full-force liver punch during a sparring match. Your hands should be protecting your sides, and your elbows should be at your hips. Always keep your hands up, no matter what. You defend with short, quick motions. Tilt your body to the side to expose your arm and let it soak up the punch. Don’t try to move your arms too much, and don’t drop your hands at any time. I see a lot of beginners instinctively try to “catch” the attack with a downward motion of their hands. This is a mistake, and will leave you wide open for your opponent. A good way to prepare against a direct stomach punch is to strengthen your abs and condition them to soak up damage. Standard ab exercises work; muscles are an effective shield against punches – but the best way to really condition your body to getting hit is well, to get hit. These workouts won’t save you from punches coming to the side, though – so a tight defense is always preferable to tight abs.